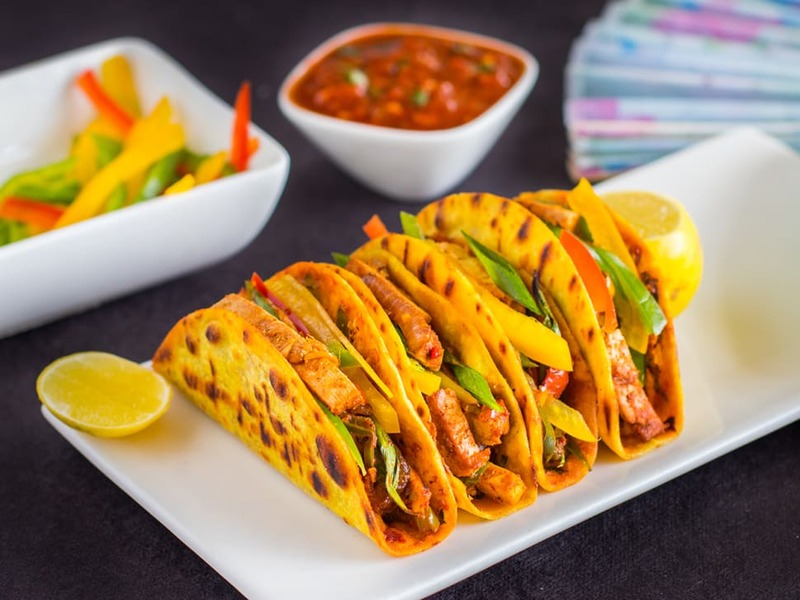 Bringing together flavours from the east and west, we've put an Asian spin on the Mexican taco that you're sure to love. Packed with peppers and tofu filling dressed in a sesame sauce and chilli paste, the snack is complemented by a schezwan dip that brings with it a hit of spice. - 100% whole wheat tacos - Protein-rich tofu - Antioxidant-rich immunity-boosting peppers Allergen Information: Contains nuts, soybean, seeds, gluten, celery and dairy.